We offer a full range of property management services tailored to you as an investor, homeowner, or landlord. 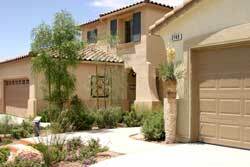 We have an extensive portfolio of single family homes, townhouses and condos in the Cedar Park area. Stone Oak provides a turnkey solution for property owners with cloud based systems that are accessible 24/7. We handle all of your tenants problems and requests. Tired of dealing with tenant issues? We'll be accessible 24/7 for your tenants! The most responsive staff for Cedar Park property management! Thoroughly screen all prospective tenants. Stone Oak Property Management goes above the rest in finding your Cedar Park rental property great tenants. You'll rest assured knowing they've passed our strict rental criteria. Our marketing efforts for your property go above and beyond. Prospective tenants can view your home in 3D from the web, find your property on social media channels and much more! We make sure your property is properly marketed to targeted channels of prospective tenants. 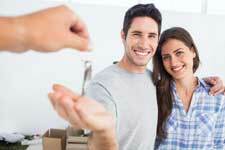 We take pride in the properties we manage and maximizing our landlords’ returns on their investments. Our primary focus is managing and marketing investment real estate. Our staff comprises dedicated leasing agents that have their fingers on the pulse of the Greater Cedar Park market. All properties are evaluated by our lead leasing agent and approved by the Broker prior to marketing for new tenants. When thinking of renting your home one of the most important questions you should ask yourself is: “Who should I have screen tenants for my home?” The answer is whoever has to communicate with the tenant once they are in place. We are very thorough in our screening process, because we have the relationship with the tenant after the dust has settled and the joys of moving into a new home have subsided. We perform a credit check, background check, employment and income verification on every applicant. Each landlord may decide whether or not to accept pets, but we as a management company do not allow for aggressive breeds. Cedar Park is a very pet friendly town and most of our properties are pet friendly in some capacity.